An extraction is the removal of a tooth from the dental socket in the jaw bone. These are performed for a variety of reasons, in particular when the tooth is no longer restorable most commonly due to reasons such as tooth decay, periodontal disease or dental trauma. For orthodontic purposes, when teeth are crowded and are unable to grow properly, sound teeth are extracted in order to facilitate the required space for the rest of the teeth to grow. Dr Helen Kanikevich here at Bondi Dentistry, has a very gentle touch and has successfully performed many extractions, simply and with just the use of local anesthetics. There was a Nitrous Oxide sedation available to nervous patients for 11 years, never having been used. Her soft touch and genial nature were enough to placate the most nervous of patients, and as result the Nitrous Oxide machine, after 11 years of idling away was disposed of. If you are suffering from toothache, or feel you might have an infection, or are experiencing any form of dental / oral discomfort, damage or trauma do not delay another moment! Contact Us immediately to book your FREE* initial consultation, and get your teeth fixed up and your dental health up to scratch. Physics Forceps™ continues to be, quite simply, the easiest to use and most clinically effective tooth extraction instrument on the market. 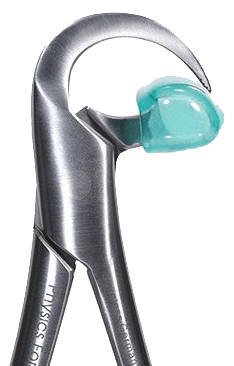 The patented designs of these instruments, and its associated patented Beak & Bumper™ technique makes difficult extractions simple and predictable for all dentists without utilising brute strength. Do your patients, your hands – and your practice – a favor, and implement the Physics Forceps into your practice today. Many industry leaders approve for one reason – they clinically work! Dental fillings are the process of restoring the use and function of a tooth by using restorative material to missing tooth structure. Dental fillings are performed for many reasons, most commonly for tooth structure lost due to cavities or external trauma. There is a two step process involved in a dental restoration. The first is the preparation of the tooth for the placement of restorative material, and the second is the placement of these restorative material/s. 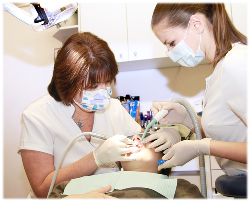 The preparation of the tooth is the process that most commonly makes nervous patients hesitant and apprehensive. Dr Helen's temperament, gentle touch and nurturing personality has helped put many skittish patients at ease, and allowed her to successfully and efficiently perform this simple procedure with ease and with consistently great results. If you feel you may have a cavity, or are in need of restorative work due to trauma or damage, then Dr Helen Kanikevich is the ideal solution for you! Take advantage of our limited-time offer, and book your FREE* consultation today! These issues need to be addressed as soon as possible otherwise, if left untreated, they will erode into even bigger problems causing you more pain, discomfort and ultimately costing significantly more to repair. When a tooth is considered threatened of a highly likely, or inevitable, future infection, the final resort in saving your tooth is Root Canal Therapy. Very common is the existing presence of infection under the tooth or within the tooth. In order to cure the infection and save the tooth, the tooth is drilled to the pulp chamber, the infected pulp is removed and then the nerve is removed from the root canal/s. The debris and infected tissue is removed and then cleaned using an irrigation solution. Once the roots have been cleaned and irrigated, they are then filled with material and the opening is sealed. This procedure is knows as Root Canal Therapy (RCT) or Endodontic Therapy. Following Root Canal Therapy, it is ideal that the tooth be fitted with a crown to protect it now that the blood flow and nerves were removed from it, and it is now susceptible to fractures. Although this procedure can be completed in a single appointment, it is preferable to complete the treatment over two or three appointments in order to facilitate a higher success of the procedure. Having had almost 20 years experience performing RCTs and consistently updating her knowledge, experience and accreditation on the procedure, Dr Helen Kanikevich utilises the latest in developments pertaining to this Endodontic Therapy, always perfecting her technique and utilising methodologies which will enable her to make Root Canal Therapy as painless and comfortable as possible. If you have been experiencing tooth aches or have noticed yourself more susceptible to oral infections that usual, you may have an infected root, and need treatment for it as soon as possible. Book in your FREE* consultation now, and gain the treatment you require from an experienced professional who's passion for her work will only benefit you with a superior dental treatment. Wisdom Teeth are the most distal molars - they grow at the very back. Wisdom teeth usually appear between the ages of 17 - 25, and most adults have four wisdom teeth; a third molar in each of the four quadrants. When wisdom teeth affect the other teeth by coming in sideways, they are removed in order to avoid pain, infection and inflammation which result from the lack of open connection between the wisdom tooth/teeth and the mouth. Adolescence is when we start screening our patients for wisdom teeth. This is done through clinical examinations and X-Rays. A very common issue that arises as a result of the eruption of your wisdom teeth is when they become impacted. Impacted wisdom teeth are wisdom teeth that do not erupt properly into the mouth due to lack of space and jaw facilitation, instead the root gets stuck in the jaw, and is accompanied by inflammation, pain, discomfort and infection. The removal of fully erupted wisdom teeth is a straightforward procedure which can be performed by your dentist in a single appointment and is performed under local anesthetic. The post-operative pain and discomfort - present the most on the first day after the procedure is performed, is effectively managed with ibuprofen or paracetamol, and by day 2-3, patients return to work/study. Impacted or partially erupted teeth can be removed surgically by highly trained Oral surgeons under sedation, Nitrous Oxide or Local anaesthetic - for pain reduction and patient anxiety management. An informed patient is the best kind of patient that the surgery strives for, and, Dr Kanikevich ensures her patients are well informed, feel confident in the successful out come and know they are well taken care of; before, during and after the procedure. Book your FREE* consultation today and get yourself or your teen screened for wisdom teeth as soon as possible. Prevention is always preferable to repair! Every year thousands of children in Australia are treated for dental injuries, which are easily prevented by wearing protective mouthguards. Anyone who participates in ports that carry any possibility of contact to the face should wear a mouthguard. Mouthguards help absorb the shock experienced by a blow to the face - which might otherwise result in injury to the mouth or jaw. Some common damage includes chipped or broken teeth, internal damage to teeth, tooth loss, injury to the soft tissue of the mouth and concussion or broken jaw. The path towards repair and restoration of this damage is long and expensive. Mouthguards are the solution that greatly minimises, and often removes, the risk of damage to the teeth and mouth. Mouthguards must be worn whilst playing, training, practicing or any form of undertaking any sport that could involve contact to the face. The Australian Dental Association recommends that only a professionally custom-fitted mouthguard should be worn. It should be kept clean and stored in a rigid container and maintained in order to keep its shape, and your mouthguard should be checked every 12 months by your dentist for optimal fit and protection. The ADA recommends that over-the-counter, self-fitted mouthguards are inadequate and a professionally-fitted guard is essential for your or your child's protection. Custom fitting allows the dentist to accurately assess your mouth and provide the best fit, size, coverage and thickness in a mouthguard made especially for you. The dentist can also make an assessment of any risk factors you might have and recommend the best type of mouthguard appropriate for your sport. Custom-fitted mouthguards are comfortable, allow you to talk, have maximum resistance against being dislodged and should not restrict breathing. Bondi Dentistry is a proud supplier of Playsafe Competitions Mouthguards. As well as the remarkable comfort and ease of wearing PLAYSAFE mouth guards, every Playsafe mouthguard is custom fabricated for each patient according to their specific quality guidelines. Take advantage of our FREE* consultation offer, to discuss your, or your child's, needs with Dr Helen Kanikevich, and see how you can safeguard your dental health today! 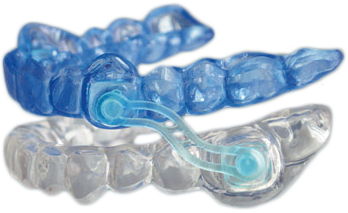 Dental splints are devices that are designed to address dental problems such as loose teeth, clenching and grinding, as well as issues such as snoring and sleep apnea. Splints are fitted by a dentist who ensures that they conform to a patient's teeth. Dental splinting, in the treatment of loose teeth, is very important as not addressing this issue can weaken the teeth over time causing them to fall out. Splints used for clenching and grinding are utilised to protect the teeth from damage. It is very important to fit the splint correctly, as ill-fitting splints can out a strain on the teeth and cause discomfort. The splint is worn on either on the top or bottom teeth, depending on the patient's needs, and acts as protection due to grinding on the splint rather than on the teeth, thus reducing the strain on the teeth and jaw. If you are suffering from clenching, grinding or suffer from snoring and sleep apnea, then contact us and take advantage of our limited-time FREE* consultation offer, and see how Bondi Dentistry can help you. The TMJ ( TemporoMandibular Joint) is where the lower jaw joins the temporal bone of the skull. Every time you chew, swallow, talk or open your mouth, you move it, and it is one of the most frequently used joints in your body. TMJ Disorder is a condition that occurs when the TMJs are subjected to excess pressure through misalignment or malfunction of the teeth, muscles and jaw. Ear, neck and head pain could be eliminated by correcting an improper bite and removing excess pressure on the TMJs by opening the bite with intra-oral splints. Whatever the cause or severity of TMJ Disorder, the most effective approach is to initially use a soft dental splint. The aim is to relieve the pressure on the TMJs, decrease muscle tension and limit the effects of clenching and grinding. Dr Helen Kanikevich, at Bondi Dentistry, specialises in diagnosing TMJ Disorder, and is able to advise you on the best treatment for your symptoms. If you have been suffering from headaches, ear problems, jaw clicking or neck tension, as well as other symptoms associated with your eyes, ears or throat, take advantage of our FREE* initial consultation, and see how we can help you find relief for your TMJ Disorder today! Do your facial muscles feel strained or tense in the mornings? Do you snore? ..or suffer from sleep apnea? The Silensor-SL consists of one transparent splint for the upper jaw and one for the lower jaw. The lower jaw is either held in a pre-determined position or advanced by two connectors that are fixed laterally to the splint. This allows the device to counteract the narrowing of the respiratory tracts, thus stopping the vibrations of the various structures in the area of the upper respiratory tract. With the Silensor-SL, jaw movements are still possible, but the lower jaw does not fall back, making it a comfortable and effective snoreguard. If you are encountering issues such as snoring or sleep apnea, contact Bondi Dentistry today to book in your FREE* initial consultation with Dr Kanikevich to see how the Silensor-SL can reduce snoring and obstructive sleep apnea for you today!